It is no longer news that Senate President Bukola Saraki plans to run for the office of President of Nigeria. He, however wants you to know the motive behind his ambition. He said that his vision is driven by an obsession for justice, fairness and respect for the rule of law. “I want to be President so that I can ensure justice and fairness for everyone; I want a country where the rule of law will be respected by all,” Saraki said on Monday in Makurdi, where he met with Benue State Working Committee of the PDP. 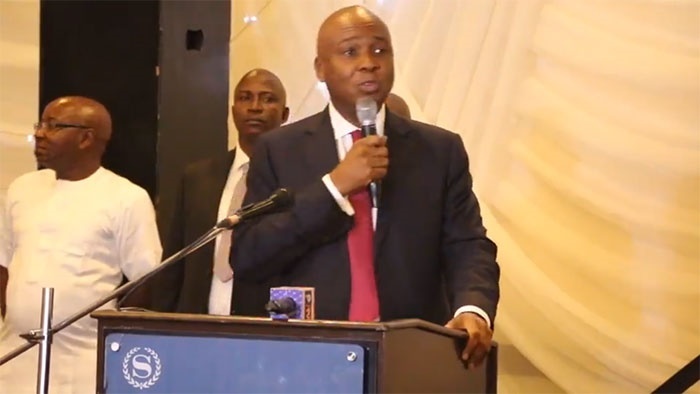 Saraki said it was the turn of the North-Central geopolitical zone to produce the nation’s president, declaring that he was ready to provide quality leadership.